Didn’t our national security team miss the current global economic, what’s the president call it? Catastrophe? Just in the last few weeks, the global economy was added to the president’s daily national security brief: too late. Now our U.S. intelligence assessment is that Iran does not have any highly enriched uranium. “We assess now that Iran does not have any highly enriched uranium,” said Director of National Intelligence Dennis C. Blair before the Senate Armed Services Committee yesterday. But what if he’s wrong? Hasn’t our intelligence community been wrong before? 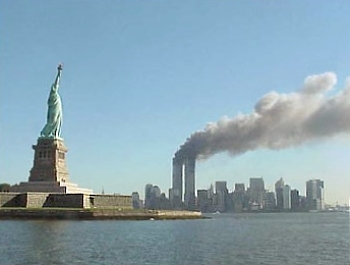 Did they predict September 11 and the death of 3,000 Americans? Didn’t the United States invade Iraq based upon a sure national security warning which was wrong? Didn’t our national security team miss the impending fall of the Soviet Union? The mistakes made by our national security team have had far reaching impact and have been much more significant in recent times than its successes. On Iran and its ability to make a nuclear weapon, what if they are wrong? What will that do to Israel, to world relations and to our national security? Did our national security team know North Korea had a nuclear bomb? India? Pakistan? Did they know that A.Q. Khan was selling nuclear secrets all over the place? Did our national security team know that those relesed from Gitmo would end up fighting the United States again? Pardon me but I take no solace from yesterday’s national security assessment on Iran’s nuclear potential. I’ll bet Israel doesn’t either…. Israeli’s view the possible development of a nuclear weapon in Iran as a life and deth proposition for Israel. They are not comforted by Iran’s President Ahmadinejad when he says the Holocaust didn’t happen, the Zionist State (Ahmadinejad refuses to say the word “Israel”) is illigitimate and Israel should be removed from the world’s map. And Israeli’s have been lied to in negotiations so often — and then attacked — that they put little stock in negotiations. But the new U.S. president is sure he can negotiate for them with Syria, Iran, Hamas, Hezbollah, even the Taliban. I wouldn’t be surprised if Israel’s took little comfort in President Obama and in the estimates of his national security team. And you’ll have to pardon Israel if some there believe that U.S. intelligence may sometimes be politicized. Obama’s seclection of known anti-Israel advocate Charles Freemanto be Chairman of the National Intelligence Council was proof enough for Israel. This is life and death stuff in Israel. It isn’t clear yet that this is life and death to the Obama Administration which is waging war against Rush Limbaugh and eliminating the word terrorism from the government lexicon…. 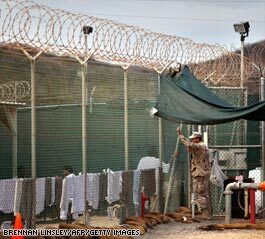 The five detainees at the U.S. Guantanamo Bay prison camp charged with plotting the September 11 attacks have filed a document expressing pride at their accomplishment and accepting responsibility for the deaths of nearly 3,000 people, The New York Times reported on Monday. 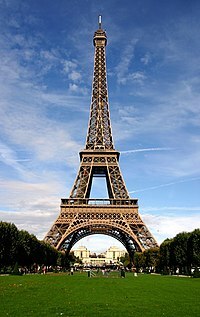 The document, which the newspaper said may be released publicly on Tuesday, describes the five men as the “9/11 Shura Council,” and says their actions were an offering to God, according to excerpts of the document read to a reporter by an unidentified government official, the report said. “‘To us,’ the official read, ‘they are not accusations. To us they are a badge of honor, which we carry with honor,'” the paper said. President Obama says he will close Gitmo next year…. A senior Iraqi security official says that four prisoners have been transferred from the U.S. military detention center in Guantanamo Bay to Iraqi custody. The security official says the men, Iraqis who were arrested in Afghanistan, have been interrogated by Iraqi authorities. The official, who spoke Monday on condition of anonymity because he was not authorized to speak to the media, added that one Iraqi remained in Guantanamo. The family of one of the prisoners, Hassan Abdul Hadi al-Jawhar, says the International Red Cross confirmed to them their son had been released. Neda Abdul Hadi, Hassan’s sister, said her brother disappeared in 1999 while doing military service and later they received a letter from him in 2004 saying he was in Guantanamo. The former commander of the USS Cole, the American war ship that was struck by a suicide boat in Yemeni waters more than eight years ago, on Thursday slammed President Barack Obama’s orders to close the Guantanamo detention center and reassess the prisoners being held there. Lippold also spoke about the trial…. 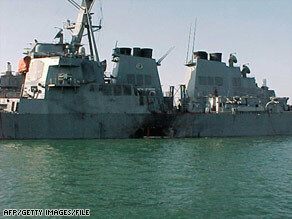 Seventeen U.S. sailors were killed in the 2000 bombing of the USS Cole in Aden, Yemen. The story of Abu al-Hareth Muhammad al-Oufi underscores the dilemma Barack Obama’s administration finds itself in: Keeping men locked up without trials invites global criticism but releasing them without a fair and diligent process to distinguish enemies from noncombatants exposes the U.S. and its allies to danger. It also shows how hard it is to separate truth from lies. Al-Oufi was one of two former Saudi detainees at Guantanamo, the U.S. military prison in Cuba, who resurfaced last week in video clips as Al Qaeda fighters in Yemen. Their identities were confirmed in recent days by a U.S. counterterror official. Al-Oufi was detainee number 333 at Guantanamo. On Wednesday, the SITE Intelligence Group, an organization that monitors extremist Web sites, provided a translation of al-Oufi’s biography contained in an online militant forum. The personal history was completely at odds with how al-Oufi had characterized himself as he tried to convince a panel of U.S. military officers at Guantanamo that he was an innocent man who had been swept up in Pakistan after the Sept. 11 attacks. That quote is from a former CIA man with experiece dealing with terrorists. We became much more interested in the Guantanamo Bay and torture issee after reporters started to doubt the Pentagon’s claims that several free men who formerly had lodgings in Gitmo has re-joined terrorists groups. The point isn’t that men freed after terrorist prison confinement again become terrorists. The point is that we are in a “zero defect” environment…..
“These are not nice people,” said my CIA friend…. Two men released from the US “war on terror” prison at Guantanamo Bay, Cuba have appeared in a video posted on a jihadist website, the SITE monitoring service reported. One of the two former inmates, a Saudi man identified as Abu Sufyan al-Azdi al-Shahri, or prisoner number 372, has been elevated to the senior ranks of Al-Qaeda in Yemen, a US counter-terrorism official told AFP. Three other men appear in the video, including Abu al-Hareth Muhammad al-Oufi, identified as an Al-Qaeda field commander. SITE later said he was prisoner No. 333. A Pentagon spokesman, Commander Jeffrey Gordon, on Saturday declined to confirm the SITE information. “We remain concerned about ex-Guantanamo detainees who have re-affiliated with terrorist organizations after their departure,” said Gordon. “We will continue to work with the international community to mitigate the threat they pose,” he said. On the video, al-Shihri is seen sitting with three other men before a flag of the Islamic State of Iraq, the front for Al-Qaeda in Iraq. “By Allah, imprisonment only increased our persistence in our principles for which we went out, did jihad for, and were imprisoned for,” al-Shihri was quoted as saying. The Pentagon and the U.S. intelligence community estimates that some 61 former Guantanamo Bay prisoners have returned to terrorist activities after their release. Several reporters and intelligence experts disagree. The Pentagon report, released days before President Obama took office, says 18 former Gitmo detainees are confirmed to have participated in terrorist attacks, and 43 are suspected to have been involved in attacks. That figure would be about 11 percent of the roughly 520 prisoners who have been released from the Guantanamo facility. President Barack Obama ordered the Gitmo prison closed just after he took office this week. Several experts say the Pentagon has inflated the numbers of released prisoners known to have returned to terror activities. Some say this number inflation is meant to influence policy….. The issue really is: what if one man goes from prison back to mass killing and terror? Mr. Obama’s Inaugural line that “we reject as false the choice between our safety and our ideals” was itself misrepresenting the choices his predecessor was forced to make. At least President Bush was candid about the practical realities of preventing mass casualties in the U.S. Most politicians would rather do anything than make a difficult choice, and it seems President Obama hasn’t abandoned this Senatorial habit. To wit, yesterday’s executive order on interrogation: It imposes broad limits on how aggressively U.S. intelligence officers can question terrorists, but it also keeps open the prospect of legal loopholes that would allow them to press harder in tough cases. While that kind of double standard may resolve a domestic political problem, it’s no way to fight a war. The human-rights lobby and many Democrats are still experiencing hypochondria about the Bush Administration’s supposed torture program, and their cheering about this “clean break” means they may be appeased. But the larger risk is that Mr. Obama’s restrictions end up disabling an essential tool in the U.S. antiterror arsenal. Effective immediately, the interrogation of anyone “in the custody or under the effective control of an officer, employee, or other agent of the United States Government” will be conducted within the limits of the Army Field Manual. That includes special-ops and the Central Intelligence Agency, which will now be required to give prisoners gentler treatment than common criminals. The Field Manual’s confines don’t even allow the average good cop/bad cop routines common in most police precincts. The Army Field Manual is already the operating guide for military interrogations. The crux of the “torture” debate has been that the Bush Administration permitted more coercive techniques in rare cases — fewer than 100 detainees, according to CIA Director Michael Hayden. Yesterday Mr. Obama revoked the 2007 Presidential carve-out that protected this CIA flexibility. There may be less than meets the eye to the executive orders President Obama issued yesterday to close the prison at Guantanamo Bay and prohibit the torture of prisoners in American custody. Those pronouncements may sound dramatic and unequivocal, but experts predict that American policy towards detainees could remain for months or even years pretty close to what it was as President Bush left office. Obama’s executive order on interrogations says all agencies of the government have to follow the Army Field Manual when interrogating detainees, meaning the CIA can no longer used so-called enhanced interrogation techniques, which have included waterboarding, the use of dogs in questioning, and stripping prisoners.